I was amongst royalty last Friday Night when I visited my old stomping grounds in the Bronx. If you are a upcoming emcee in the Bx, you may know of an open mic series in hunts Point, BX called the Boogie Mics. This month event is presented by a new generation of hip-hop pioneers named The Rebel Diaz Arts Collective, grand master emcee was John Mega of G.T.P. and Warren Britt and features DJ Illanoiz and DJ Charlie Hustle. A wide collective young and aspiring emcees artists hit the stage with natural and radiant energy performing their original songs to a crowd of hip-hop heads and fellow artists. For some artists it was a first time experience performing in front a live audience. "We're just gonna have fun and do what we love..." said a new upcoming duo. The night was closed out by Bx's lyrical Mike Tyson, Chris Rivers. The heir to the Hip-Hop's P.R. Ambassador, Big Pun. 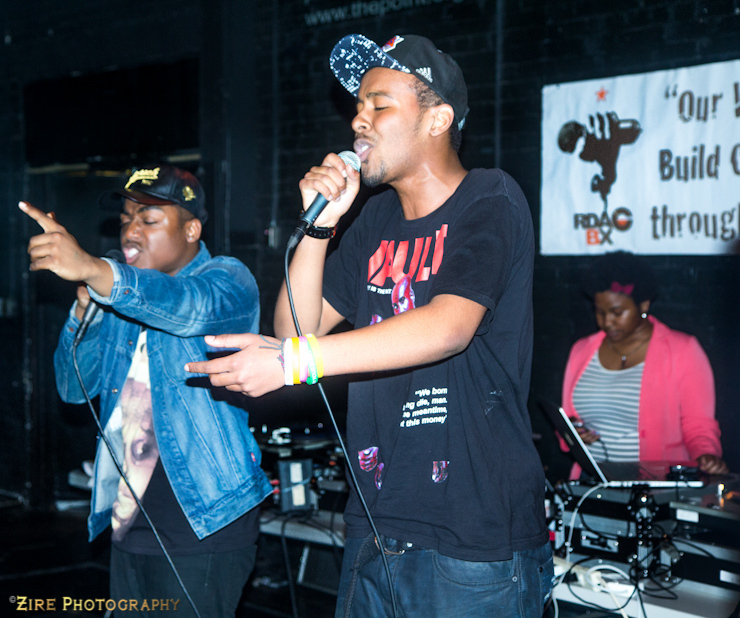 The Rebel Diaz Arts Collective (RDAC-BX) is a group of Bronx based Hip-Hop artists and educators. Running a performance and multimedia space that aims to utilize Hip-Hop culture as a means for education and self-empowerment in our community. Check them and support!